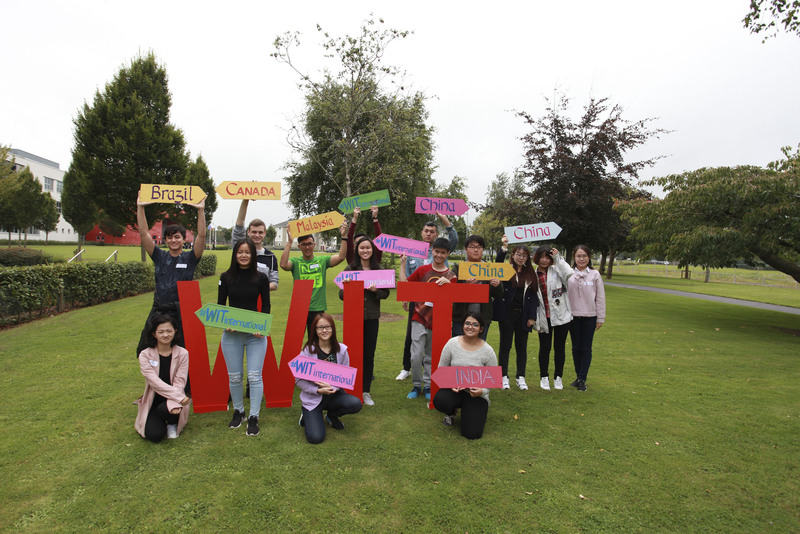 Waterford Institute of Technology (WIT) is committed to attracting high calibre students from around the world. To this end, we offer a wide-range of scholarships to students from a number of countries (NON EU, fee paying Students only), in line with our strategic international priorities. Our scholarships are available to undergraduate, higher diploma and taught postgraduate applicants for full-time programmes of study at WIT. Please be advised that students must first submit an application and have received either a full or conditional offer of a place on one of our programmes before they can apply for a scholarship. An undergraduate reference number is created for you when you make your online application at https://www.wit.ie/international/admissions/how_to_apply. This is a unique number that identifies your application and is only given when your application to study one of our undergraduate programmes has been submitted. If you have not received a full or conditional offer, your scholarship application will not be processed. We advise you to read the Terms and Conditions of our Scholarships, provided below, which should answer any questions you may have. Please be advised your eligibility for one of our scholarships will depend on your academic achievement (those indicated on your application for admission), not on your family need. International students who may qualify for scholarships are still expected to demonstrate the ability to cover a significant percentage of the cost of their education. Details on the scholarships available are listed below. Scholarships for our undergraduate programmes provide for a reduction of 20% in tuition fees. To maintain the scholarship every year, students must achieve a minimum of 60% in their overall grades. These scholarships are open to all self-funding non-EU students for full-time programmes only who are applying for first year or advanced entry admission. Exchange and Study Abroad applicants are not eligible. Applicants are expected to demonstrate an exceptional level of achievement in their academic performance. A minimum IELTS score of 6.0 or equivalent is required (with a minimum of 6.0 in each band). Scholarships for our higher diploma programmes provide for a reduction of 20% in tuition fees. Scholarships for our postgraduate programmes provide for a reduction of €2,000 only for all full-time taught postgraduate programmes. This scholarship does not apply to our research postgraduate or PhD programmes. These scholarships are open to all self-funding non-EU students for full-time taught programmes only who are applying to WIT for the first time. WIT graduates are not eligible to apply. Applicants must satisfy the entry requirements of the programme they have applied for including completion of an undergraduate degree (equivalent to a level 8 on the Irish National Framework of Qualifications), and have achieved a minimum average result of 65% in their Bachelor degree and the relevant English language requirement. Irish Aid is the Irish Government’s programme for overseas development, managed by the Development Co-operation Division of the Department of Foreign Affairs and Trade. A broad programme of support to capacity building in developing countries is provided by the Government. As part of this overall mission, Irish Aid Fellowships aim to address capacity deficits that hinder the attainment of long-term development goals through the training and development of key individuals, generally drawn from the public services and NGO sectors. Operating for over 40 years, Irish Aid Fellowships have supported more than 2,000 successful awardees who have returned to their organisations on completing their studies, committed to putting their acquired knowledge and skills into practice for the benefit of the wider community. Some of their stories can be found in the case study profiles on the icosirl.ie website. Irish Aid concentrates long term development assistance in eight Key Partner Countries - mainly in sub-Saharan Africa - and a small number of other countries affected by conflict. Fellowships are targeted to specific countries in the same way. Potential applicants should carefully note all eligibility requirements. These may include being employed by an Irish Aid partner organisation. Applicants who do not meet eligibility criteria will not be considered. The countries eligible for Irish Aid Fellowships are Burundi, Cambodia. Ethiopia, Kenya, Laos, Liberia, Malawi, Mozambique, Myanmar, Nigeria, Palestine, Rwanda, Sierra Leone, South Africa, Tanzania, Uganda, Vietnam, Zambia and Zimbabwe. Details of the different fellowship strands and eligibility criteria are set out here. 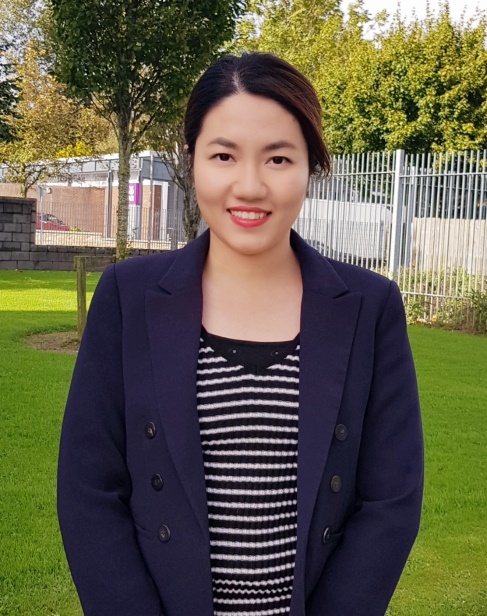 Waterford Institute of Technology is delighted to offer 5 scholarships for Chinese applicants through the Claddagh Scholarship Programme. These scholarships are available to undergraduate and postgraduate applicants. Undergraduate - applications for undergraduate programmes of study at WIT will provide for a reduction of 20% in tuition fees for each year of an undergraduate programme. Postgraduate - applications for taught postgraduate programmes of study at WIT will provide for a reduction in tuition fees of €1,000. Be citizens of and resident in China and must have applied to WIT and be in receipt of a full or conditional offer of a place to study on a full time academic programme starting in September 2019. Be in a position to self-fund. Applicants for taught postgraduate programmes of study at WIT must have completed an undergraduate degree (equivalent to a level 8 on the Irish National Framework of Qualifications) by June 2019 at a recognised university in China, and applicants must have received (or must be expected to achieve) a minimum average result of 70% in their Bachelor degree. Applicants for undergraduate programmes of study at WIT must have matriculated from High School, and must meet the entry requirements for study at WIT. For all programmes, applicants must have completed an English language proficiency test and have achieved the WIT English language requirements for their chosen programme. The English language requirement for Undergraduate programmes is IETLS 6.0 (or equivalent) with a minimum of 5.0 in each component. The English language requirement for Postgraduate programmes is IETLS 6.5 (or equivalent) with a minimum of 6.0 in each component. Applications must be made by completing the application and reference forms below and email to Ms Fiona Purcell at: [email protected] on or before 18th May. Successful applicants will be notified by end of June. The Ireland Homecoming Study Programme (IHSP) is open to the children, grandchildren and great-grandchildren of Irish emigrants who are interested in completing a semester of study, two semesters or an entire undergraduate degree at one of Irelands Institutes of Technology. The IHSP will be of particular interest to the Irish Diaspora located outside of the European Union who would normally be subject to full Non-EU tuition fee. Students who qualify will benefit from the "Irish Diaspora tuition fee" of €7,500 per annum. Applicants must be a minimum age of 17 years on January 1st of the year of application i.e. the intake year. Students must demonstrate that they have completed a High School Diploma equivalent to the Irish Leaving Certificate. Applicants who hold Irish passports will automatically qualify. Their parents(s) or grandparent(s) were Irish citizens and/or held an Irish passport or dual citizenship. If neither of your parents was born in Ireland but you can claim Irish Citizenship by descent, you can use a Certificate of Entry in the Foreign Births Register issued by the Department of Foreign Affairs and the long form of your civil birth certificate in support of your application. Please note: Applicants may also qualify for the IHSP through marriage and adoption. Relevant supporting documentation will be required. Applications should be submitted online at: https://www.wit.ie/international/admissions/how_to_apply and supporting documentation emailed to the International Office at [email protected] quoting IHSP showing how you satisfy the requirements listed above.